Yas Mall, 22 February 2018 – مرحباً (Marhaban!) 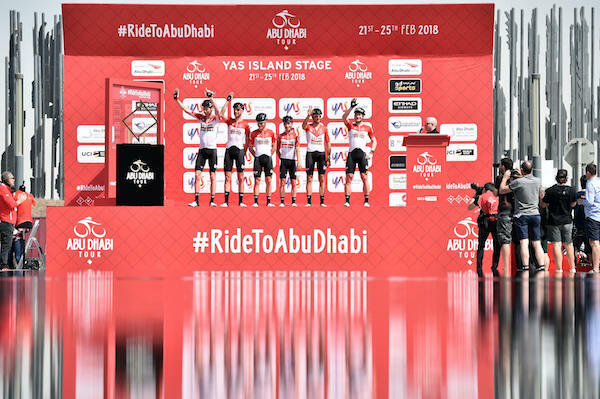 from Stage 2, Yas Island Stage, of the fourth edition of the Abu Dhabi Tour (21 - 25 February 2018), the only WorldTour race in the Middle East and organised by the Abu Dhabi Sports Council in partnership with RCS Sports and Events. 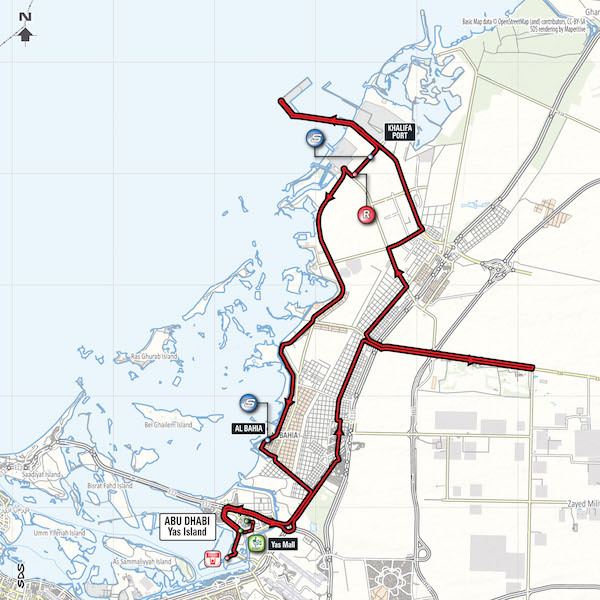 From Yas Mall to Yas Beach (148km), the stage runs in the eastern part of the city of Abu Dhabi. 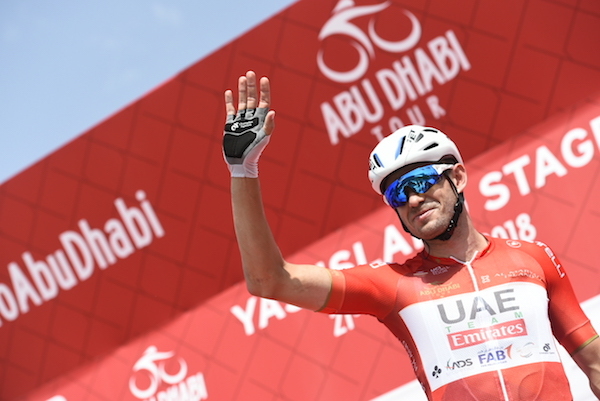 Entirely flat stage: a final bunch sprint is expected. During the stage, 36 Green Jersey Points (of a race total of 128 remaining), 16 Black Jersey Points (of a race total of 48 remaining), and 16 seconds in time bonuses are up for grabs. 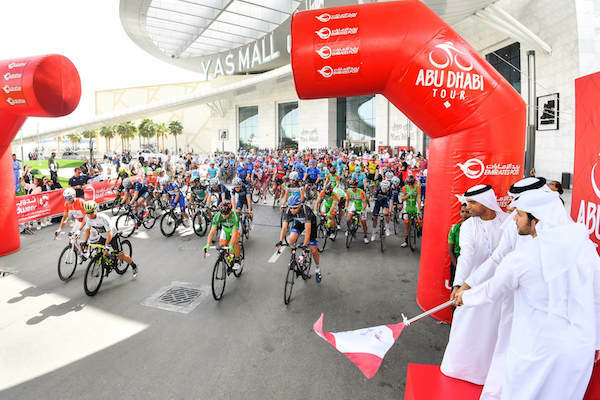 The ceremonial roll out started on schedule at 12:00, After crossing the 2,500m neutralised zone, the peloton of 137 riders passed km 0 at 12:04. 154-Antwan Tolhoek (Team Lotto NL-Jumbo) and 185-Lennard Hofstede (Team Sunweb).